Jason Nasimuddin Mohammed is a West Indian professional cricketer who was born on 23 September 1986 in Trinidad. Jason is a destructive batsman who bats right-handed and plays in the middle order. He is also a part-time bowler and has often proved his credentials with his right-arm off spin. 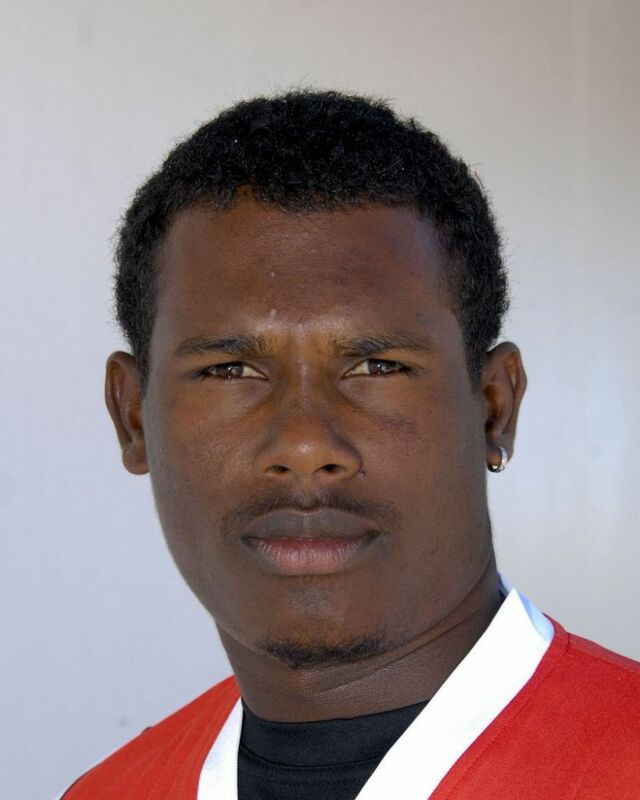 Jason was added to the squad of Trinidad and Tobago in 2005 and made his domestic debut on 6 January 2006 in a match of Carib Beer Cup against Jamaica. He caught people’s attention and made an instant impact in his very second game when he scored 124 runs against Windward Islands Cricket Team. In the same year, he also represented West Indies in Under-19 World Cup. In the first game of the tournament, he scored significant 45 runs and helped his team to win over USA. In the second and third game, West Indies faced a stronger Australia and South Africa side but Jason again proved himself by scoring 57 and 76* respectively. Jason got his debut ODI cap against India on 11 December 2011. The match was a nightmare for him as he could score only 2 runs in 21 balls. Jason did not play another game till late 2015. But he remained a part of Trinidad & Tobago and West Indies A regularly. After almost 4 years of his debut, he was brought back in the team on the basis of performances in domestic cricket and played an ODI on 4 November 2015 against Sri Lanka. However, he could not break his hoodoo in the international cricket and managed to score only 4 runs in the match. As a result, he was dropped from the team again and this time for 2 years. On 3 March 2017, in a match of the ODI series against England, Jason was given one more opportunity to prove himself. This time, he did not let it slip from his hands and scored important 72 runs before getting run out unfortunately. Later, in the second game of the series, he again hit a half century. With the help of his consistent show, he was succeeded to get his T20 cap against Pakistan on 1 April 2017. On 7 April 2017, in an ODI against Pakistan, Jason led his team to chase down the highest total in their cricket history by scoring 91 not out in just 58 balls. In the 2014 and 2015 season of Caribbean Premier League, Jason represented Trinidad and Tobago Red Steel (renamed to Trinbabo Knight Riders) but was dropped for the next season. In 2016, he was acquired by Guyana Amazon Warriors and played his first game on 1 July 2016, in which, he fired 46 runs with the strike rate of 144.83 and helped his team to open with a victory. Since then, he has played 24 games in CPL for Guyana and has 579 runs in his name at an average of 38.60. Jason captained West Indies for the first time in an ODI on 29 September 2017, when Jason Holder had to fly back home for his uncle's funeral. England had beaten Windies in that game by 9 wickets and Jason had scored 25 runs. Jason has played 24 ODIs and 6 T20Is till date. In ODIs, he has 529 runs at an average of 26.45 and in T20s, he has scored 62 runs at an average of 31.00. His stats are much better in domestic circle where he has played 66 first-class games and scored 2955 runs including 7 centuries. In List-A Cricket, he featured in 70 fixtures and has 1879 runs in his name at an average of 37.58. Pakistan vs West Indies, 2018: Is the series ultimately a success?